The goal of the research group is to understand and optimise the properties of functional materials and to discover new materials by atomistic modelling and simulation. This requires adequate approaches to treat the diversity of the chemical composition (e.g. multi-component superalloys), the complexity of the microstructures (e.g. dislocations and precipitates in steels) and the complexity of the physical phenomena (e.g. 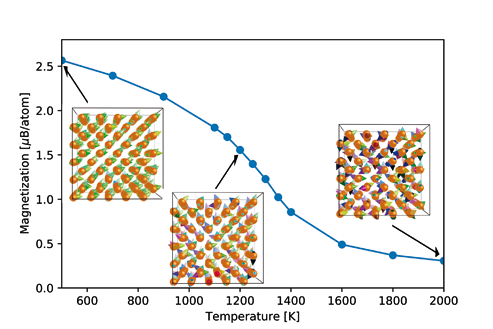 magnetic phase transition in iron, finite-T properties of battery materials, dislocations in high-entropy alloys). 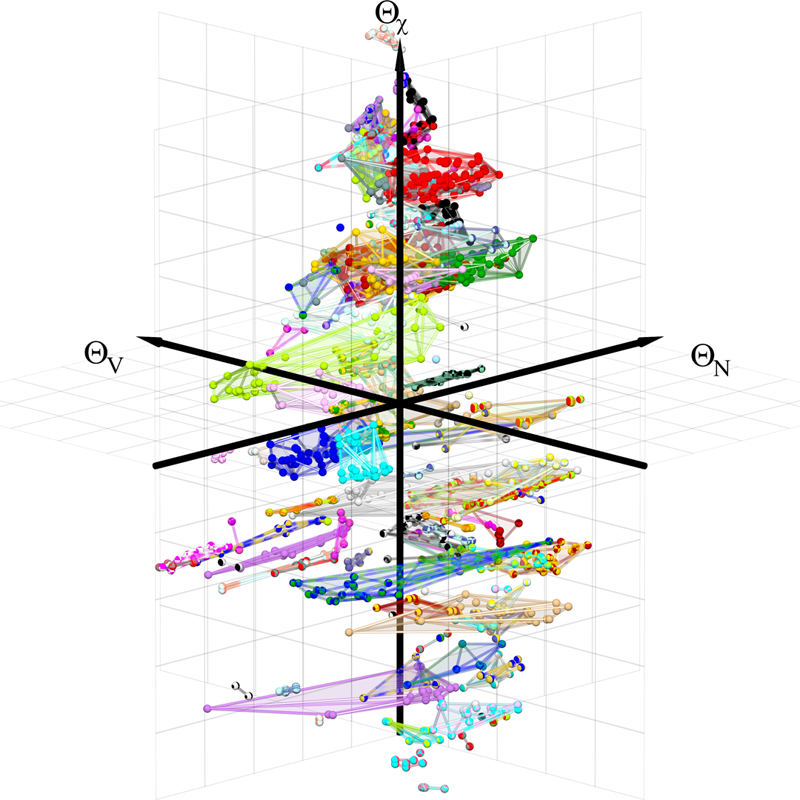 In our portfolio of materials-science methods, we combine density functional theory (DFT) as accurate small-scale method, tight-binding (TB) and analytic bond-order potentials (BOPs) as approximate large-scale methods as well as structure maps as complementary data-driven method. 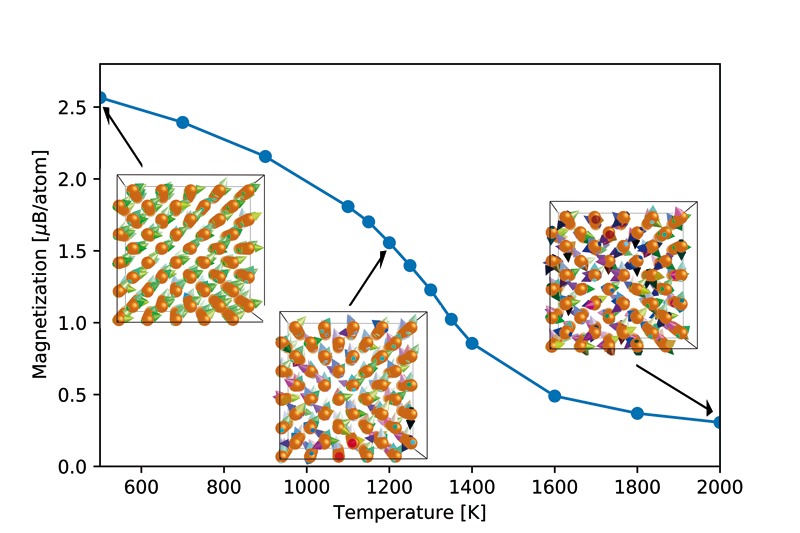 The TB and BOP models are obtained by a coarse-graining of the electronic structure that preserves the quantum-mechanical nature of the chemical bond. The analytic BOP allow us to perform large-scale atomistic simulations that capture the complexity of microstructure and physical phenomena. They also provide electronic-structure based descriptors of the local atomic environment that are applied in machine-learning of material properties. 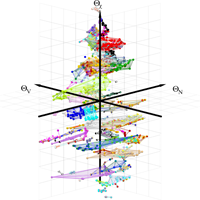 The highly predictive structure maps chart the bonding chemistry of known compounds with physically intuitive descriptors and enable us to predict structural stability in multi-component alloys.